I love streetstyle, I think what the attendees wear pretty much generates a similar level of hype and excitement as the shows themselves these days. 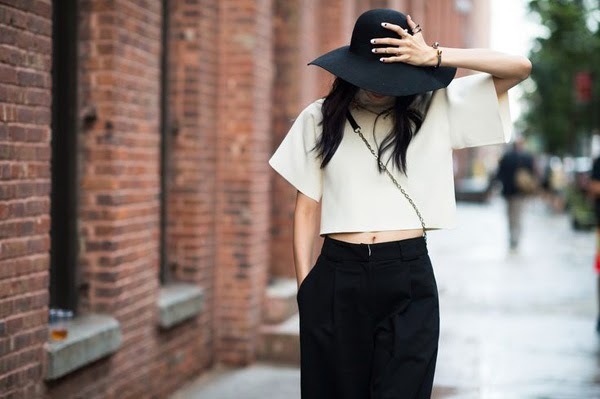 Streetstyle is where a lot of people get inspiration from, even the designers themselves. 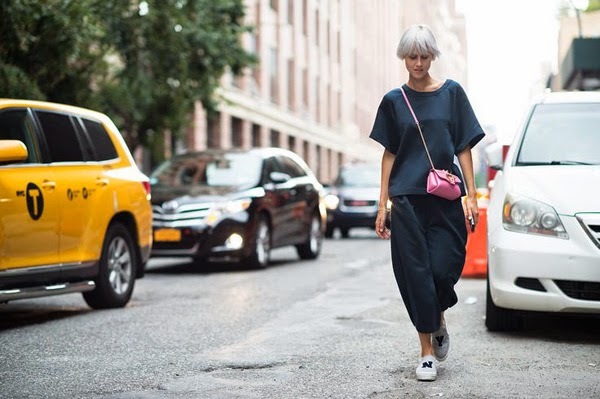 So I have dedicated this post to my favourite streetstyle looks from NYFW SS15! As I have come to realise when scouring the web for the best outfits out there, New York Fashion Week style is decidedly slicker than London Fashion week style. Tailoring, stiletto's and cocktail dresses embellish the toned bodies of NY fashionites, whereas London tends to be more of a burst of unique, bizarre and fascinating garments seemingly thrown together (but always in ways that somehow work and make one view the wearer as some sort of sartorial genius). So it seems that oversized clothing, cocoon shapes, chunky ('ugly') footwear, embellishment and fringing are the port of call for current street style icons. Beauty-wise I am loving bleached hair and of course plaits. I will without doubt be pinning some of my favourite looks from all fashion weeks!